A NUMBER of important events are coming up next week. Uppermost in everyone’s mind is, of course, the Eid-ul Fitr, or as Malaysians term it, Hari Raya Aidilfitri. This Muslim celebration is not only celebrated worldwide, it is also marked by the United Nations itself and declared a public holiday for UNHQ and its agencies worldwide. This in itself is nothing short of a phenomenon for the UN, especially when you consider that other religious holidays are not official public holidays for the world body. Of course, Christmas is observed, as is Good Friday, but the other “holidays” with religious underpinnings — Yom Kippur, Deepavali, Wesak, Gurpurab — are optional for UN staff members who celebrate them. Which means that they can go on leave, but not others. I remember fondly our defence adviser in New York, a Chinese Malaysian colonel from the Malaysian Army. In all the time I knew him as a colleague, he had the worst luck possible in terms of holidays. Chinese New Year, though observed by the Malaysian Mission to the UN, is not a UN public holiday, so the standing rule was that as long as there were no meetings to attend, he would be free to observe Chinese New Year. Sure enough, every year, without fail, there would be an important meeting on Chinese New Year, and one which he could not afford to miss. In terms of recognition, the UN’s declaration of Hari Raya Aidilfitri as an official UN holiday is a massive show of recognising the Muslim community and states within the United Nations and elsewhere. Incidentally, the other major Muslim celebration — Eid-ul Adha — is also a public holiday for the UN. This was not always the case. Prior to 1998, neither Eid were declared as public holidays for the UN. In January 1998, however, the UN General Assembly adopted resolution 52/214 and decided that “henceforth, the two holidays of Id al-Fitr and Id al-Adha shall be observed as official holidays” of the UN and its bodies. In late 2010, a large snowstorm swept through New York City — big enough to leave two feet of snow for pedestrians to wade through, but not big enough to fully incapacitate the city life. Nevertheless, many schools and offices declared themselves closed for the day. Not so the UN. Those of us who were still in the middle of negotiations and had meetings at the UN still had to trudge through the snow in our boots, only to change into heels and shoes once inside the building. That was how begrudging the UN is when it comes to declaring days off, much less public holidays. Closer still is the second event on June 23, when the UN will celebrate Public Service Day. This year’s Public Service Day — as designated by the United Nations — falls on the Friday before Aidilfitri. As the largest employer of international civil servants, it is only fitting that the UN celebrate its many employees around the globe by declaring a day for them. Though the UN Public Service Day is not a holiday, it is still a recognition of sorts, and has been since the Day was first observed in 2003. Malaysia used to have a civil service museum (Muzium Perkhidmatan Awam). It was to house not only the story of the Malayan Civil Service and its successor, the Administrative and Diplomatic Service, but to also showcase the men and women who made a difference to the country and, of course, the service itself. When the dream finally became a reality, the museum found a home near the Lake Gardens, right in the middle of the tourist route of Kuala Lumpur. Unfortunately, the museum is no more. The third international event within this week falls on the second day of the Aidilfitri. On June 26, 1945, the UN Charter was signed in San Francisco, formally establishing the world organisation. Officially, however, the UN Charter only came into effect on Oct 24 of that same year. Even though UN Day is celebrated in October, the signing of the Charter on June 26 is also seen as a milestone event and observed accordingly. Malaysia itself joined the UN in Sept 17, 1957, a mere two weeks after gaining independence. 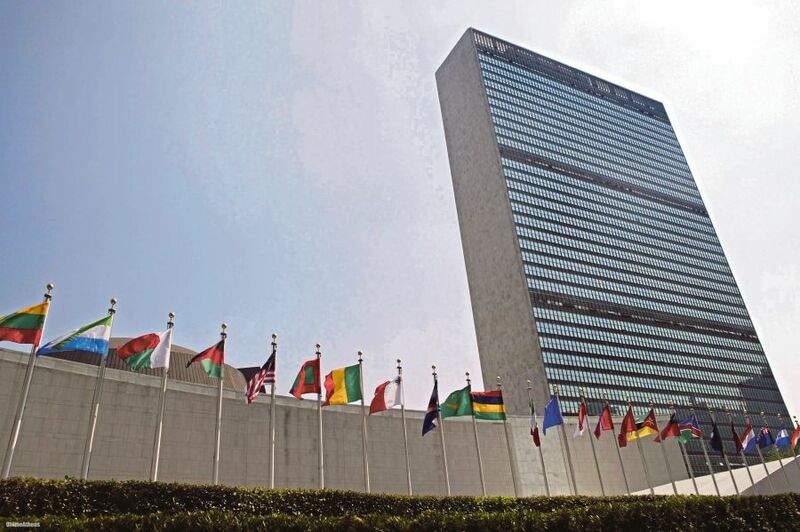 Since then, the UN has been a mainstay of the country’s foreign policy. Despite criticism and disappointments over the years, it remains the single largest organisation that we have to tackle most of the world’s ills. Academician Andrew Guzman once described the UN as an anomaly. States, he argued, would only create an organisation that they could effectively control for fear of the Frankenstein effect. This is why many international organisations are limited in their mandate or reach, or both, unlike the UN, which covers every single topic under the sun and has a universal membership of states. Whatever the case may be, this year marks 60 years of Malaysia’s membership in the world body. And “60” just happens to be one of those numbers that trigger a response with people. It is the age of retirement for many civil servants, the number that most countries use to define senior citizenship, and the number for which official designation in terms of anniversary celebrations is no less than a diamond. Even Malaysia’s international dialling code is 60. So, 60 is a big deal in international affairs, at least for Malaysia. Wisma Putra’s Diplomacy@60 exhibition celebrates that fact, as it does the country’s involvement in the UN, and the many civil servants who have walked the hallowed halls of the ministry. Now that the civil service museum is no more, perhaps exhibitions such as this will help to sate the public’s curiosity about the luminaries of the service.